Ever forgot where you parked your car at the mall or stadium? Ever got lost when hiking, biking, or traveling to a new place? GP-102+ is a portable GPS Locator device used for returning to a previously marked outdoor spot. 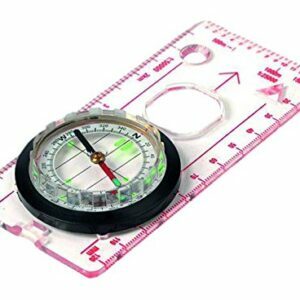 This high-tech, reverse navigation system is low cost, accurate, easy to use, fits in your pocket, and giving peace of mind. Using latest GPS technology, GP-102+ works globally, under all weather condition. It is an indispensible tool for outdoor enthusiasts. Whether it is for returning to the camping ground, remembering a favorite fishing spot, or getting back to a place of particular interest you came across during vacation, simply mark the location while you are at the place. Later GP-102+ can guide you back to the exact spot no matter how far away you start. Never getting lost again outdoors! Finding way back/target with 100% confidence! -Sports Mode and Tracker: The smart GPS coach informs you about : Distance, Average speed , exercise time, calories burned, average speed , Maximum speed , steps in hours / miles. – Trip Planning Mode: Edit the appropriate routes first with the Canway Planner or download tracks from the Internet as GPS or KML data files and transfer the data to the GP -102 +. After setting the scale of the map is the planned route with POI on the device displayed. – Geotag Mode: The GPORTER will Show direction, distance, and altitude of saved POI, set on device from the present location. Or planned POI with CanWay Planner Software. – Historical Data Mode: GPS Tracking Data include Distance, Duration, Average Speed and Average Pace, Best Speed, Best Pace, Ascent and Steps, Calories and the track on the Screen. – Extra Function Mode: Digital- Kompass, Pedometer, Weather station, Altimeter, Water Level, Thermometer, Barometer. Package contents: – GPORTER GP-102+ – USB- Cable – Holder Lanyard Non-slip back pad for a secure placement 12 x 8mm – black. – CD with Manual English, German, Japanese, Chinese and Software CanWay, CanWay-Planner. Compatible with Windows XP / Vista / Windows 7 / 8 . Caution! No function with the Android operating system ! 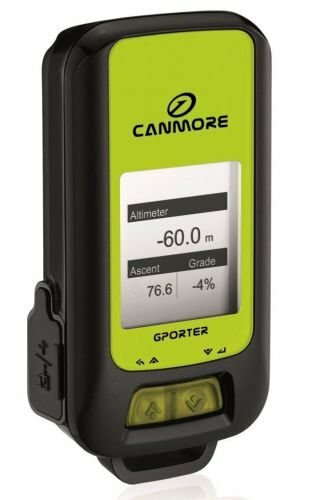 The GP-102+ is the best available portable GPS tracker and sports analyzer with the most functions with the simplest operations. The SiRF starIVTM navigation processor is equipped to deliver the best positioning quality. Battery Life up to 17/20 Hours. The GP-102+ is capable of keeping up to 300,000 records or positions. – capable of keeping up to 600 / Point of Interest points – The GP-102+ sports tracker provides a wide variety of sports modes to support analysis with different software analyzers. 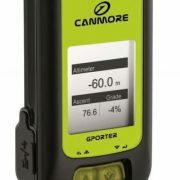 The GP-102+ allows users to retrieve previous tracks or target outdoors. Mark and locate positions, Geotag Photos. 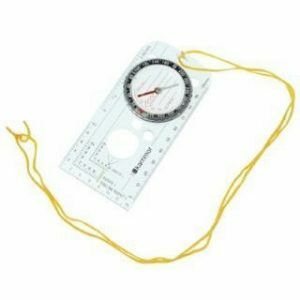 The GP-102+ provides route planning or sports tracking functions. The GP-102+ is easy to use, with only 2 buttons, display language English, German, Japanese, Chinese. The GP-102+ comes with versatile additional functions, such as pedometer, barometer, weather station, level, etc. The GP-102+ is capable of keeping up to 300,000 records or positions, including longitude, latitude, speed, UTC, and tag data. The location histories can be exported to mapping software such as Google Earth or TrackMaker. Logging data interval programmable: by time or distance. GPS position, Provides real time info on latitude, longitude, direction, time and speed. Finder/ The estimate straight line distance measuring of the back track.